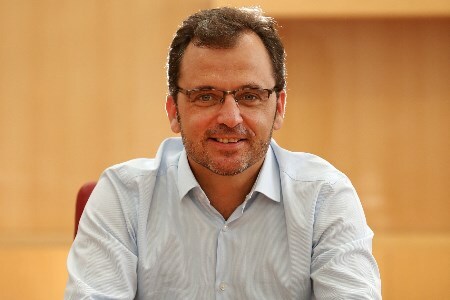 Cemex has appointed Michel Andre as Country President of Cemex UK with immediate effect. Andre joins the company’s UK operations after 12 years with Cemex France, including seven years as Country President. “I am looking forward to working with my new UK colleagues, with safety as my number one priority, in conjunction with growing the business and helping to build a greater Britain. ” said Andre in a statement. Andre’s appointment follows the promotion of Jesús Gonzalez, who joins the executive team in Monterrey, Mexico, as Executive Vice President of Sustainability and Operations Development. Before joining Cemex, Andre worked for Lafarge in the US and France, as spent five years working for Pricewaterhouse Coopers. He has also spent three years as President of the National Union of Quarrying and Buildings Materials Industries in France. The largest Mexican investor in the UK, Cemex owns 450 sites across the country, including the Rugby cement plant in Warwickshire and South Ferriby cement plant in north Lincolnshire. It also operates a grinding and blending plant in Tilbury, Essex. In total, the company employs around 3000 people.